Room 6 is our favourite. 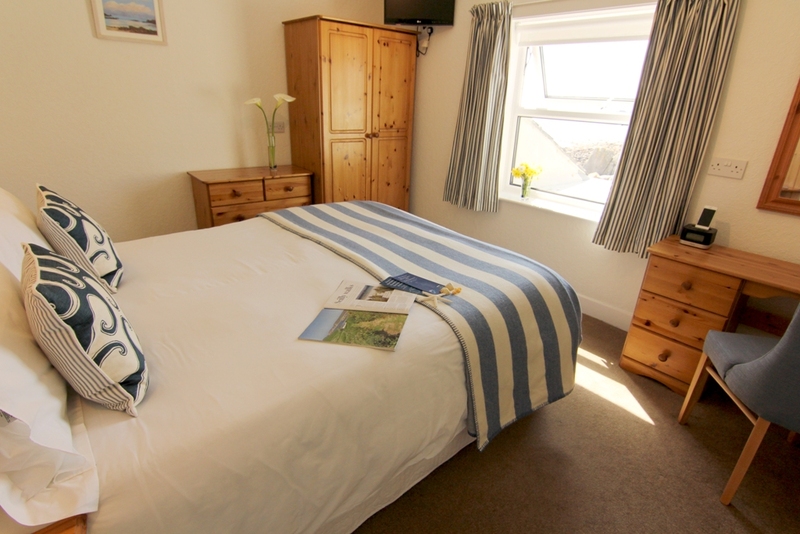 You can lie in bed with your morning cuppa whilst enjoying the fabulous views over Little Porth and listening to the waves gently lap upon the beach. Room 6 is a double located on the first floor at the front end of the guesthouse. It has a comfy 5 foot wide king size bed and shower en-suite. Early booking essential!